Today in Masonic History Bert Lord is born in 1869. Bert Lord was an American politician. Lord was born on December 4th, 1869 in Sanford, New York. He attended local public schools before attending Afton Union School and Academy. From 1893 to 1918 Lord engaged in the mercantile business in Afton. He also worked in the lumber business operating sawmills. During that same period from 1905 to 1915 he was the Afton Town Supervisor. In 1915, Lord was elected to the New York State Assembly for the first time. He served from 1915 to 1921. 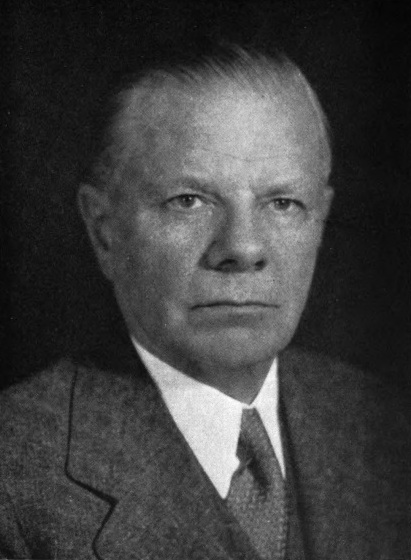 From 1921 to 1923 he served as the New York State Commissioner of Motor Vehicles. He then returned to the New York State Assembly in 1924, serving until 1929. In November of 1929, a sitting New York State Senator passed away and Lord ran, successfully, to replace him. From 1930 to 1934 Lord served in the New York State Senate. In 1934, Lord was elected to the United States House of Representatives. He was reelected one time to the office in 1936. Lord passed away in office on May 24th, 1939 after suffering two heart attacks in the month of May. Lord was a member of Afton Lodge No. 360 in Afton, New York.